I love Eastern Redbud! I have 4 in my yards. The pink blossoms signal the beginning of the Spring after a long, cold winter. 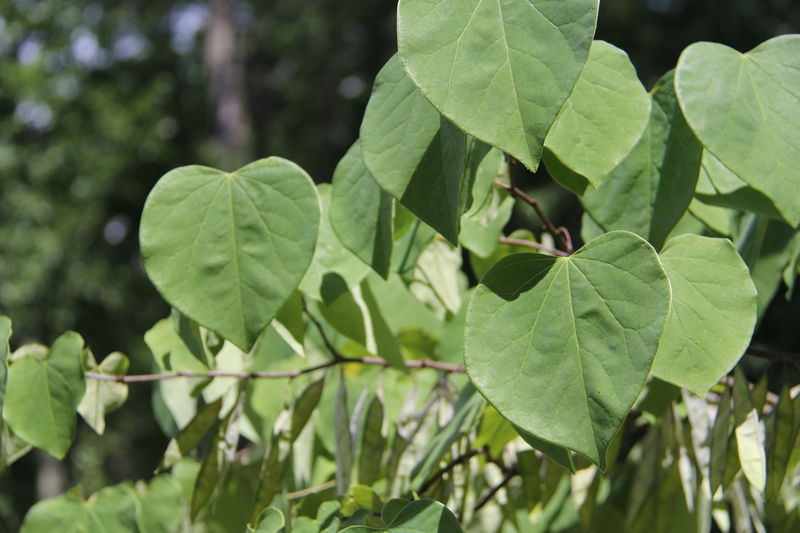 The leaves are a lovely heart shape. And I just found out that the blossoms and the pods are edible! You can read the article here. I will give the muffin recipe a try next year when the trees are blooming. 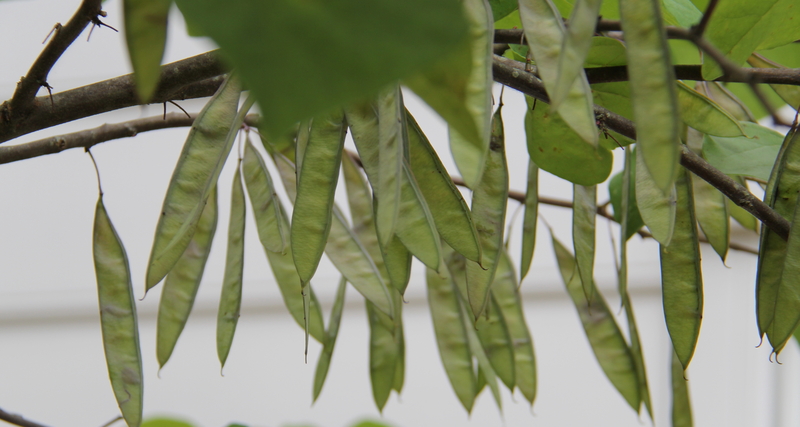 Now I am going to pluck the pods and eat them, or at least try to eat them! And here is a scrawny cactus that we moved all the way from Florida to Richmond VA. During the winter time, it lives indoors. It will never survive the winter here outdoors. So it is not growing well. It is just surviving. I moved it outside this past month, hoping that it will thicken up!